This vehicle is the original DeLorean Time Machine immortalized on screen in the Back to the Future trilogy. It’s widely considered to be the most famous movie car in the world. 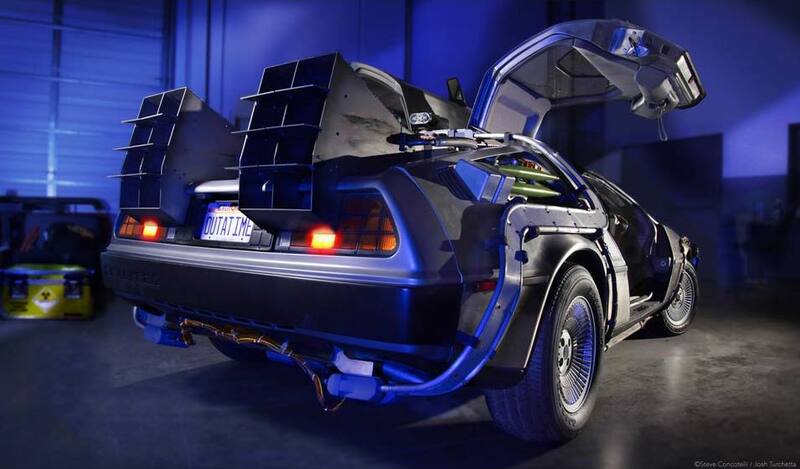 This particular car began its life as a stock DeLorean manufactured in October of 1981. Two years later, in 1983, Universal Studios purchased the car from a private owner, to be converted into Doc Brown’s Time Machine. The design of the Time Machine was based on drawings by artists Ron Cobb and Andrew Probert. Over the course of 10 weeks, the The Time Machine components were built and assembled by Kevin Pike and his team at Filmtrix. Michael Scheffe served as the Construction Coordinator on the project. 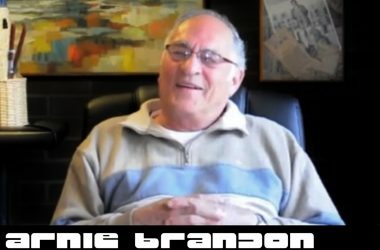 He was responsible for acquiring pieces for the vehicle and supervising the construction. Scheffe also designed several components on the Time Machine, including Mr. Fusion. Once completed, the vehicle received the designation of the “A” Car or “Hero” car – due to the fact that this vehicle was the first Time Machine built for Universal. It was also the most detailed, both inside and out. 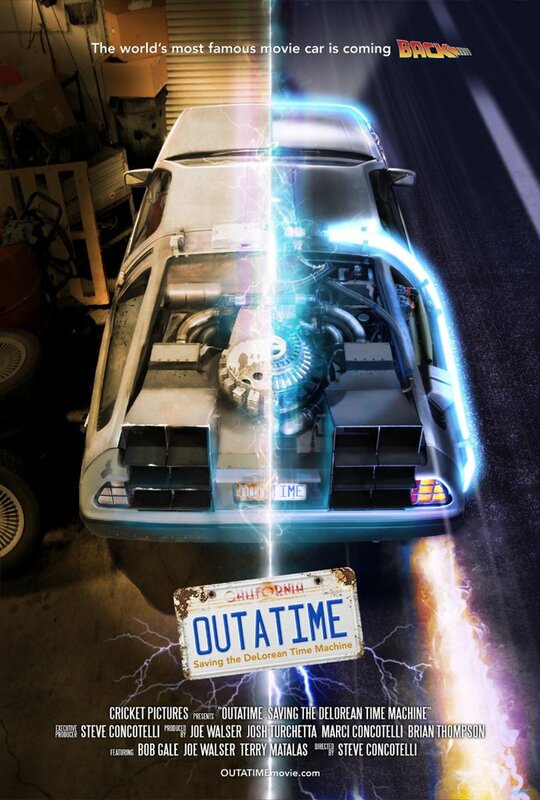 Two other Time Machines were also built for Back to the Future, including a stunt car (designated the “B” Car) and a process car (the “C” Car) that was cut in half, in order to film inside the vehicle. While all of the Time Machines were meant to be identical – there were differences between the vehicles. Most notable were the Time Circuits. Originally, all three vehicles had Time Circuits with numeric-only displays. So, the date October 26, 1985 read 10-26-1985. However, Bob Zemeckis and Bob Gale felt that a row of numbers made it too difficult for the audience to read. Since production was already underway, the Special Effects team quickly changed the “B” and “C” Car Time Circuits to alphanumeric displays. So October 26,1985 reads OCT-26-1985. These are the Time Circuits fans are familiar with. 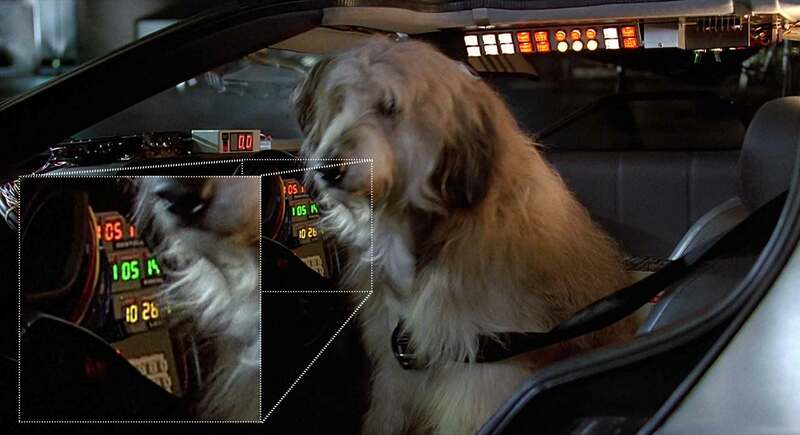 However, since the “A” Car wouldn’t be used for interior close-ups, they didn’t swap out the Time Circuits in that vehicle. So, the Time Circuits in the “A” Car are technically wrong! You can see the “A” Car’s numeric Time Circuits in several shots when Einstein is sitting in the car during the Twin Pines Mall scene. The “A” Car received the most screen time in Back to the Future and was used for all the beauty shots in the film, including the iconic shot of the Time Machine rolling out of Doc Brown’s truck. The “A” Car was also used extensively in Back to the Future Part 2 and Part 3. It also appeared on camera for the Huey Lewis “Power of Love” video, as well as Back to the Future the Animated Series and Secrets of the Back to the Future Trilogy with Kirk Cameron. After the trilogy, the “A” Car served as a tourist attraction at Universal Studios Hollywood. Sometimes, it was displayed in front of Back to the Future: The Ride. Other times, Doc Brown character actors drove the vehicle through the park as they interacted with guests. Through the years, thousands of fans had their picture taken next to the car, in the car, or sometimes even sitting on the car. When Doc wasn’t using the car, it was often kept on the backlot – unlocked, with the keys in the ignition. There are reports that several fans discovered this fact and made their way onto the Universal backlot. There, they were able to locate the Time Machine, open it up and start it up. To make matters worse, some fans who desired a souvenir went so far as to steal pieces off the car. 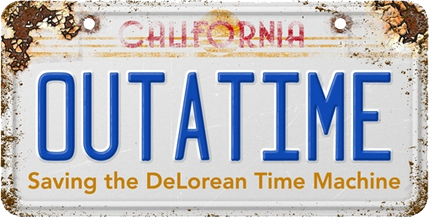 Over time, many of the most iconic pieces went missing, including Mr. Fusion, the Time Circuits and the Flux Capacitor. As a movie prop, the Time Machine was built to look good on camera – not to be long lasting. Many of the pieces used to build the Time Machine were fragile – being made of glass, neon, and wood. Unfortunately, the Time Machine was not able to withstand the daily barrage of park guests poking, pulling, touching, and prodding the vehicle. Many pieces on the car were broken or damaged as a result. 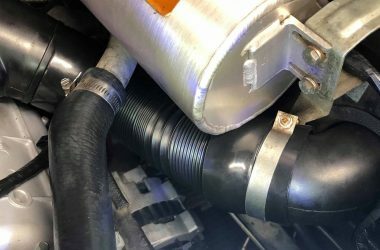 Adding to the car’s problems was the weather. When the car wasn’t in use, it was parked outside – where sun and rain caused significant damage to the fragile Time Machine pieces, as well as the vehicle itself. Holes drilled throughout the car’s panels allowed water and moisture to get inside. The back window had also been removed to make room for the Time Machine components – which meant the car was no longer waterproof. 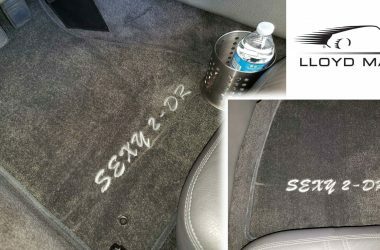 When it rained, the water found its way into the bulkhead, wreaking havoc on the car’s electrical systems. Throughout the years, Universal’s transportation team worked to keep the vehicle running. While they did attempt to repair the Time Machine components, accuracy was not a major consideration. Pieces were altered or put back on the car incorrectly. A pair of stereo speakers were added to the pontoons, allowing the car to blast music wherever it went. The rear vents, originally painted with heat and oil splatter effects, were inaccurately painted black. While the “A” Car suffered, the other screen used Time Machines fared even worse. The “B” Car was destroyed by the train at the end of Back to the Future Part 3. The “C” Car was eventually disposed of. This meant that the “A” Car was the only original Time Machine left from the first film – adding to its significance. As the years passed, the condition of the car deteriorated to the point where the vehicle no longer functioned. At that point, Universal put the car on permanent display along the tram route, along with several other picture cars. A large tarp structure was built to help protect the vehicles from the elements. But by that point, it was too late. Birds, mice and cats had already begun living inside the vehicle. By 2010, the Time Machine had become a shadow of its former self. With the car no longer running – and many of the Time Machine parts missing, stolen, or broken – the “A” Car seemed destined for the junkyard. 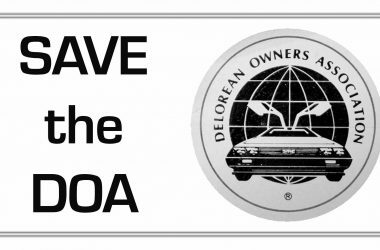 But that changed in 2011 thanks to Bob Gale, Joe Walser, and a dedicated group of Back to the Future fans. That same year, Nike released a version of their famous Nike Mag shoes from Back to the Future Part 2. During a press event on the Universal Studios backlot, the screen used “A” Car was brought out, allowing fans to take photos next to the iconic car. But, when Bob Gale saw the horrible condition of the Time Machine, he was heartbroken. “Something had to be done. I knew we had to save the Time Machine,” Bob said. He immediately began working with Universal Studios to come up with a plan to save and restore this cinema icon. To ensure the restoration was undertaken with the highest quality, Bob Gale made a historic choice. 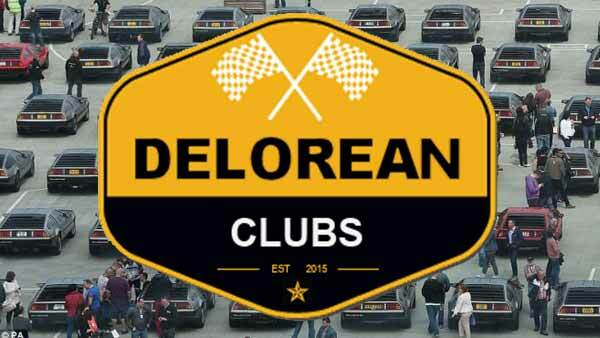 Instead of hiring a car company or prop house to restore the car, Mr. Gale entrusted the project to a group of Back to the Future super fans. By doing so, the Time Machine became the biggest fan-led prop restoration in movie studio history. To lead the restoration, Bob Gale hand selected Joe Walser, widely considered one of the best Time Machine builders in the world. 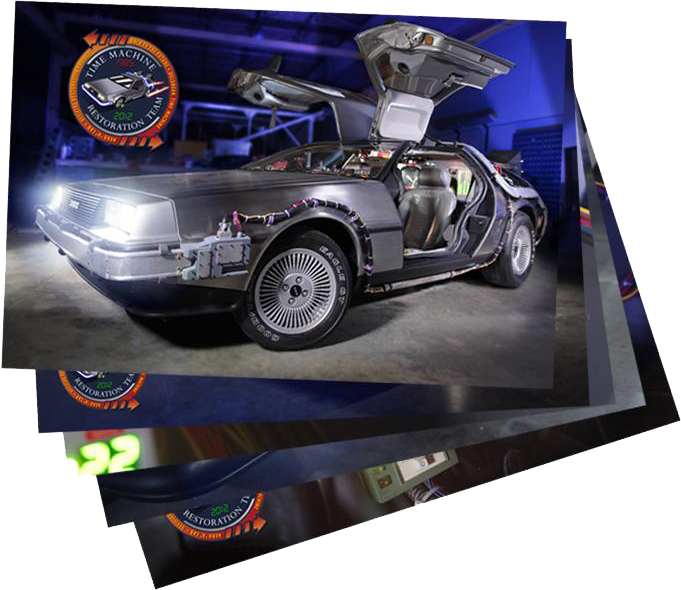 Joe Walser had already built two of the most accurate Time Machine replicas in the world – including the one Universal Studios used for all of its high profile marketing and publicity events. 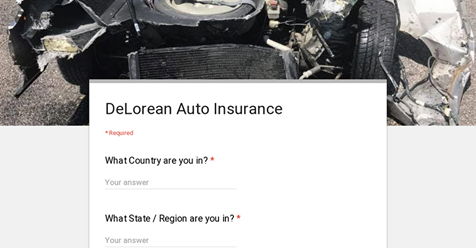 Joe and his team of Time Machine experts had one singular goal – restore the car with 100% accuracy. Every bolt. Every detail. Exactly like it was in the movie. That kicked off an intense, year-long restoration. No item was overlooked as Joe and his team restored and repaired every item on the Time Machine. To do restoration correctly, the team needed to recover the Time Machine parts that had been removed or stolen from the car. 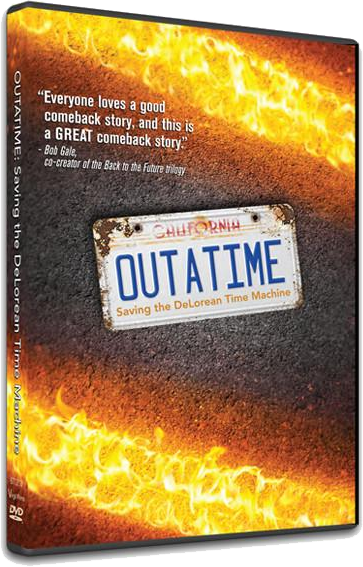 Thanks to a letter from Bob Gale, several fans returned missing pieces, including the original Flux Capacitor and a pair of screen used Time Circuits from Part 3. Under Joe’s meticulous attention to detail, inaccuracies made during previous studio restorations were corrected. Among them were the vents – which were stripped of their black coloring and repainted accurately. The team made one significant upgrade, however. Joe Walser wanted the Time Circuits to have all the functionality the appeared to have in the movie, but didn’t. So, the Restoration Team scratch built a computer system to run all of the electronic components of the vehicle. Now, the Time Circuits are capable of performing all the movie actions, with screen accurate sounds and lighting effects. The restoration concluded on February 4, 2012, nearly a year after it began. Then, the restored Time Machine was moved to Universal Studios Hollywood, were it went on public display inside the NBCUniversal Experience building. The car was elevated several feet off the ground and displayed in a protective plexiglass enclosure (mockingly referred to as “The Fishbowl”). Fans gathered to see the car in droves, despite the vehicle’s less-than-ideal presentation. In fall 2015, the “A” Car was removed from public display, as it was announced that the NBCUniversal Experience building would be demolished to make room for other attractions. Fans were concerned that the Time Machine would be put back outside or put into storage and not displayed publicly at all. Those concerns proved to be unfounded. In early 2016 it was announced that the restored Time Machine would be moved to the Petersen Automotive Museum in Los Angeles. 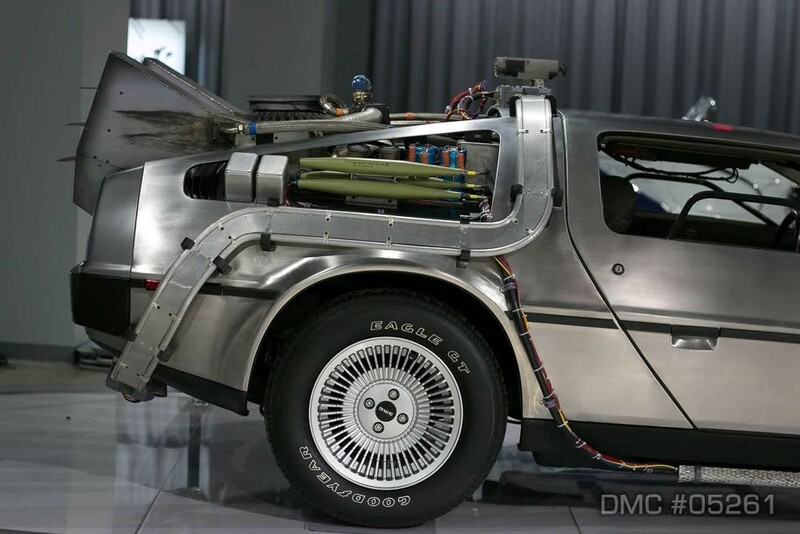 The Time Machine was to become the centerpiece of the museum’s “Hollywood Gallery” which includes other screen used vehicles including a Batmobile, James Bond’s DB10, Christine, Herbie, and others. Universal Studios retained ownership of the vehicle, but the Petersen Automotive Museum would be responsible for the safety and security of the vehicle while under their care. On April 22, 2016 the Petersen Automotive Museum held a massive unveiling party for the “A” Car. Hundreds of fans gathered to celebrate the Time Machine moving to its new home. Special guests included Bob Gale, Joe Walser, John Murdy (Creative Director, Universal Studios Hollywood), and Steve Concotelli (Director, OUTATIME). Since then, the Time Machine has become the most visited vehicle in the museum. Crowds can often be found gathered around the car – eagerly snapping photos sharing their favorite Back to the Future moments. 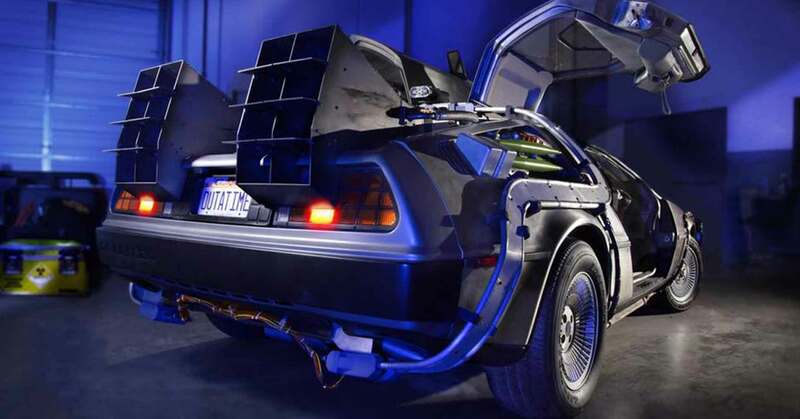 As of November 2018, the restored Time Machine remains on display at the Petersen Automotive Museum in Los Angeles, California.